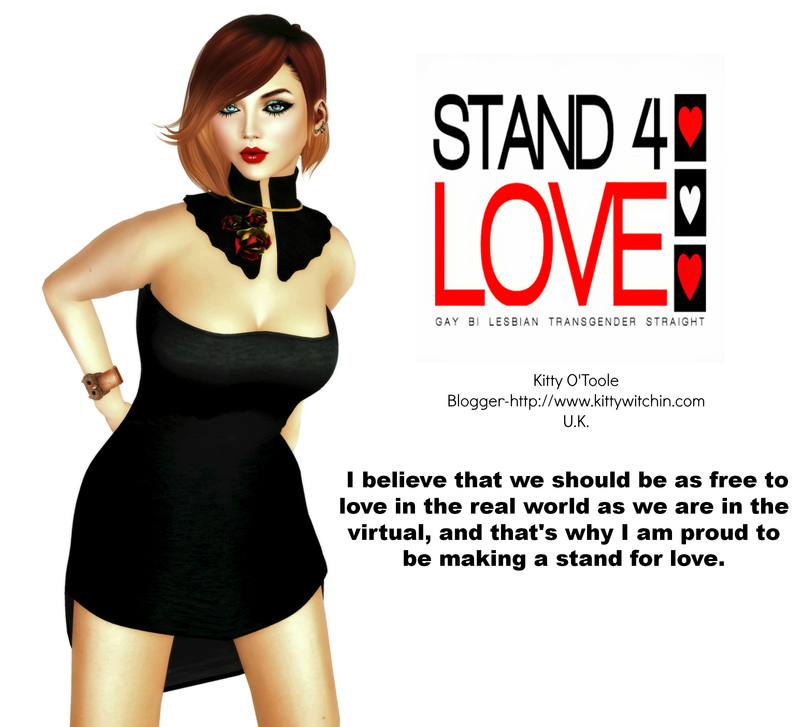 The ever-amazing Harlow Heslop is bringing a fantastic charity event to the grid under the banner ‘Avatars For Animals’ . ‘The Catnip Carnival’ will feature some FANTASTIC designers (are you ready for this?!) 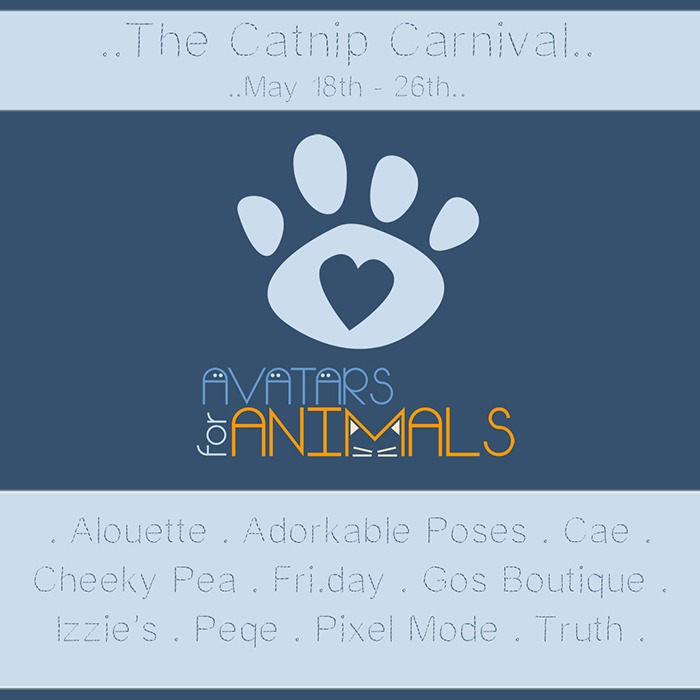 Alouette, Adorkable Poses, Cae, Cheeky Pea, Fri.day, Gos Boutique, Izzie’s, Peqe, Pixel Mode and Truth, and will run from May 18th -May 26th. This event will raise funds for a no-kill shelter in Louisiana, USA, called ‘River Cities Humane Society For Cats‘. You can read all about Harlow’s reasons for selecting this worthy cause by visiting her wonderful blog. I’m sure by now you know that I am obsessed with all things feline, so this event instantly appeals to me. The quality of the content creators who will be participating as well as the cause for which the monies are being raised make this an absolute must-see. I’m not spending any Lindens until I’ve visited this event as I have a feeling I will be well and truly wiped out by it! As soon as I have the location details I’ll update the blog for you guys, and I look forward to seeing you there!